We are Pam and Mara, Grown and Flown’s new in-house fashion gurus. 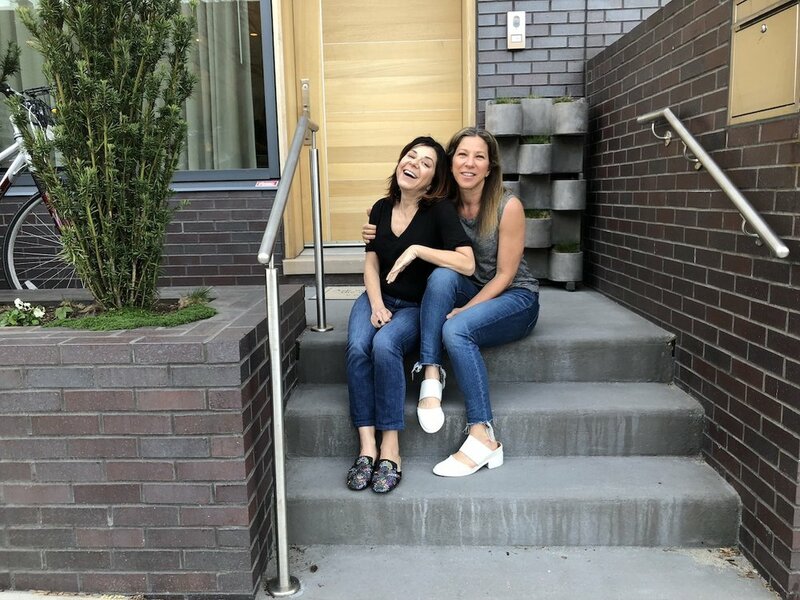 Based in Brooklyn, we’ve been friends for over 20 years, with four boys, many proms, graduations, beach vacations and birthday dinners between us. Mara’s been living in jeans and t-shirts working in the fashion world in London, Milan, LA, and NYC, producing editorial and ad shoots for over two decades. Pam’s been suiting up for the corporate world as a chief marketing officer in the live entertainment/sports business. We’ve always been a little obsessed with style and how we use clothes to help us feel attractive and self-confident. You’ll often find us yelling at each other over dressing room walls, or trading texts at midnight about that one pair of size 8 boots left on sale online at Nordstrom.com. But over time, we’ve found that dressing and feeling great has become much more challenging. And that’s even more frustrating now that every moment has turned into a photo opp. We want to feel comfortable and appropriate with our style choices so that we can face the world each morning with confidence and ease. We’re in search of cool, effortless style that makes us feel amazing and powerful at this very age.